In January, former 'X Factor' host Steve Jones was fired, creating an opening at the hit singing competition series. Now, according to E! Online, Darren has been offered the opportunity. But there's no need to freak out, Gleeks. The 25-year-old has reportedly declined the job so he can focus on singing and dancing. 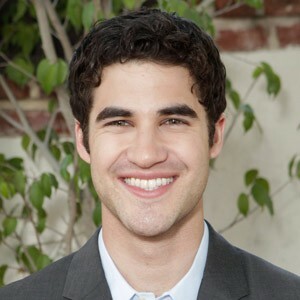 In addition to his 'Glee' gig, Darren has proven himself on Broadway in 'How to Succeed in Business Without Really Trying,' and has landed a role in 'Imogene' with Kristen Wiig and Annette Bening. We'd say his schedule is pretty packed. No one from FOX's or Darren's camp has commented on the 'X Factor' offer, but with two judges seats to fill and, according to Simon Cowell, two host spots to cast, we'll definitely be seeing a a few new faces next season. Do you think Darren would make a good 'X Factor' host? Let us know your thoughts in the comments. The Tendo Project – Daily Nintendo News is powered by	WordPress 5.0.4 and delivered to you in 1.819 seconds using 41 queries.